This week I want to dispel the myth that according to the laws of aerodynamics, bumblebees shouldn’t be able to fly. I traced the inception this rumor back to the 1934 French book on entomology, Le Vol des Incectes, by Antoine Magnan. He states in the introduction that “First prompted by what is done in aviation, I applied the laws of air resistance to insects, and I arrived at the conclusion that their flight is impossible.” Supposedly, taking the weight of a bumblebee and its wing area into account, and assuming an airspeed of a few meters per second, the wings wouldn’t produce enough lift to keep the bee up and buzzing about. a vortex which produces additional lift. It’s true that if an airplane were built with the same proportions, it would never get off the ground, but bees aren’t like airplanes. As a bee takes flight, it creates an effect known as dynamic stall, which induces a large vortex over the leading edge of its wings. This vortex creates a low pressure region above the wing, which briefly creates several times the lift of a normal airfoil, sucking the wing up and giving the bee the additional lift it needs to buzz around. It’s just like when you stir creamer in your coffee with a teaspoon—the coffee swirls around the edge of the spoon. If you move the spoon quickly, you can actually see a depression at the center of the vortex and feel the tug caused by the lower pressure. Bees beat their wings about 200 times per second. Their thorax muscles don’t expand and contract so much as vibrate, like a rubber band. A nerve impulse comes along and plucks the muscle like a guitar string. This vibrates the wing up and down a few times until the next impulse comes along. The bee has its wing roots embedded in a special block of elastic material to help this. 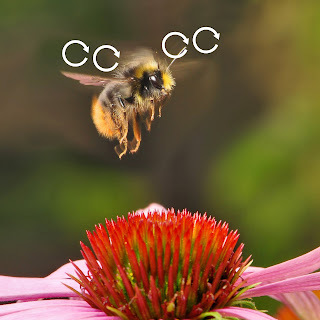 The flight of the bumblebee is quite inefficient in that its wings are not coordinated—left and right wings flap independently and sets the bumblebee apart from most other creatures of flight. 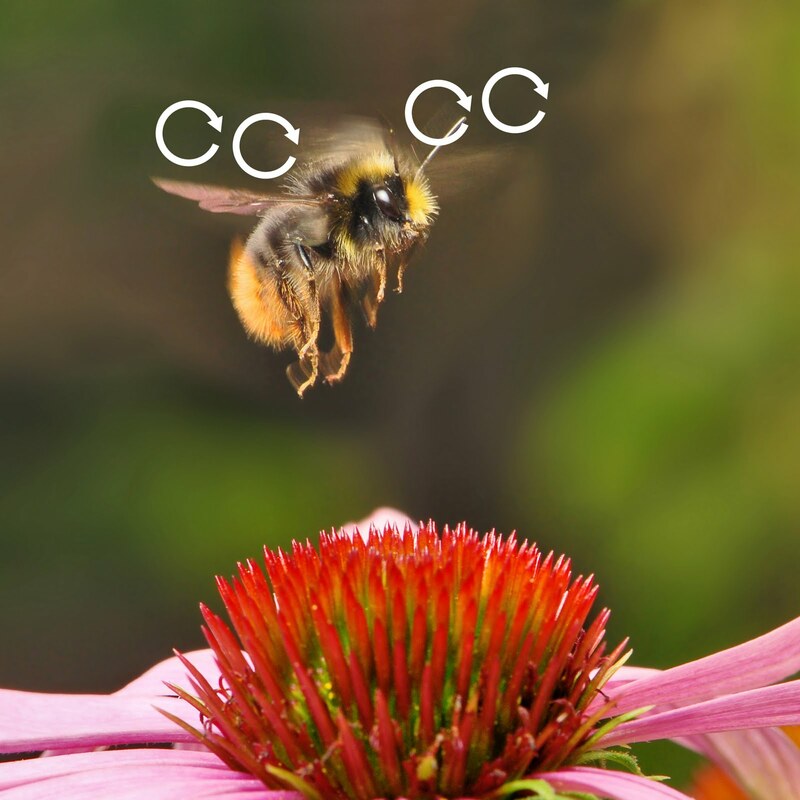 Bumblebees have adopted a brute force approach to flight powered by its massive thorax. This approach could have evolved to make bumblebees more maneuverable in the air to transport nectar and pollen back to the hive.